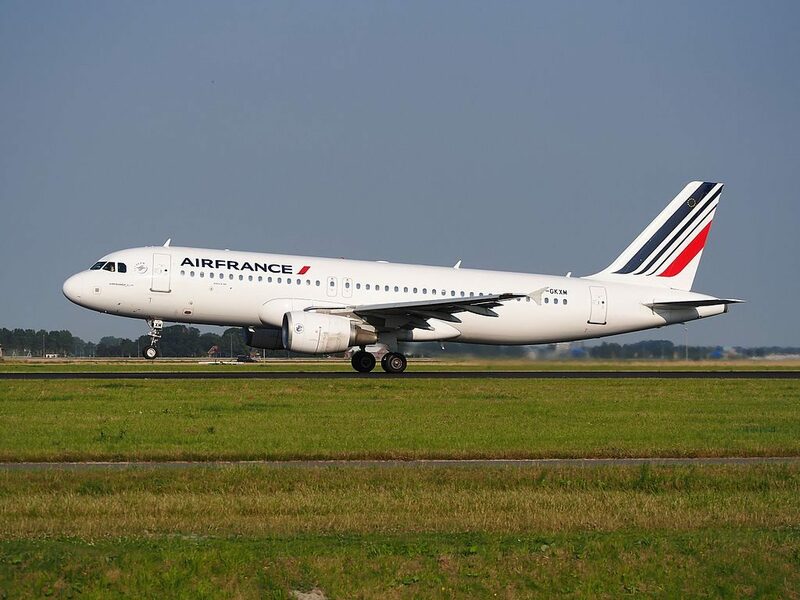 Air France Fleet Airbus A320-200 Details and Pictures. 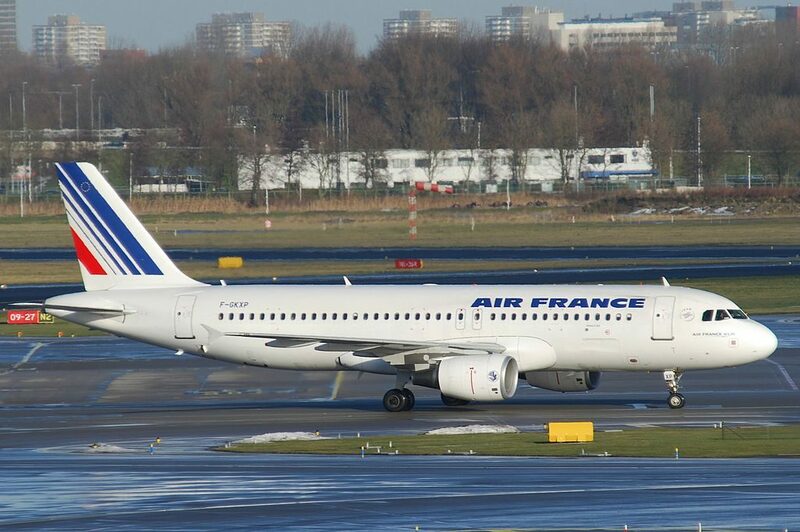 Air France operates 36 aircrafts Airbus A320-200 for domestic and international flight. 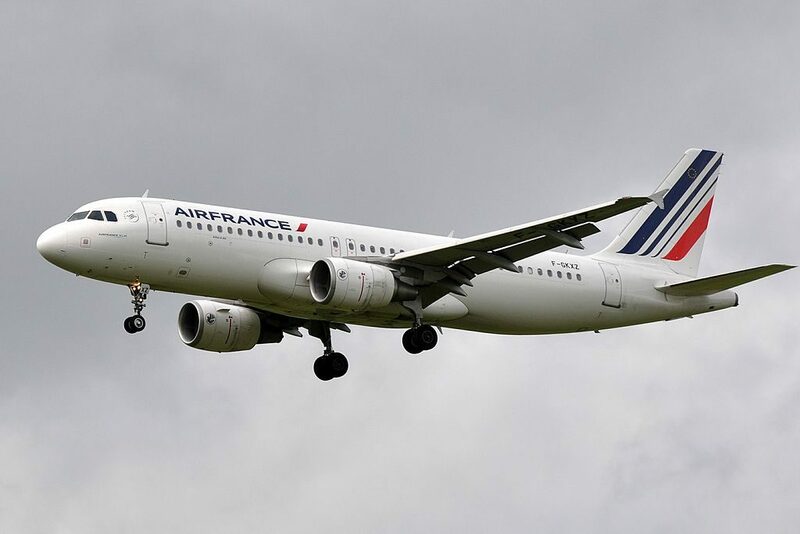 The A320 is base model for A318, A319, and also A321. 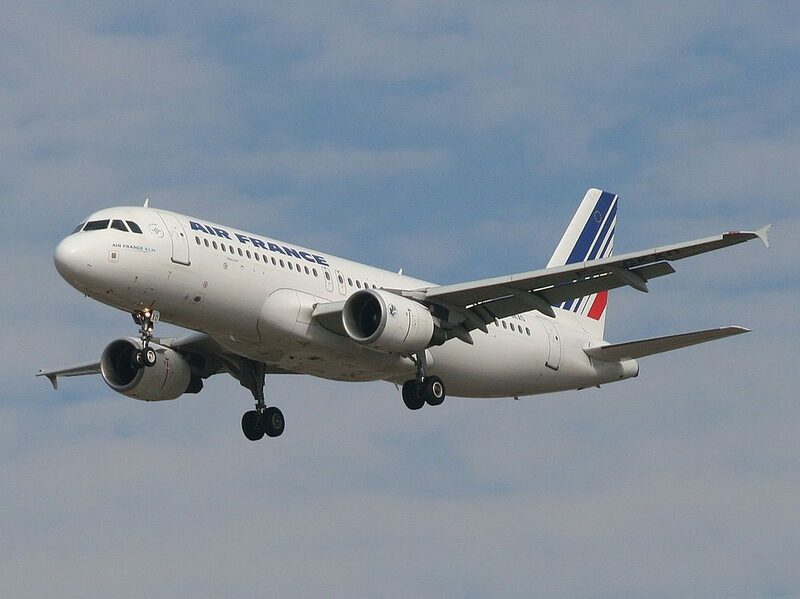 A320 is the first model among narrow-bodied Airbus airplanes that is equipped with so-called sharklets – wingtips. Sharklets 2.4 meters long made of light composite improve aerodynamic characteristics of the wing and significantly reduce fuel consumption. 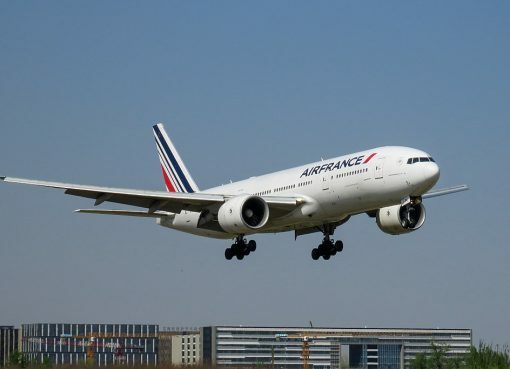 According to Airbus data they allow to increase the flying range approximately by 185 kilometers, useful load by 450 kilograms and reduce fuel consumption by 4%. Each sharklet by 95% consists of composite materials and despite of its massive dimensions (height 2.4 meters) has the weight of only 40 kilograms. 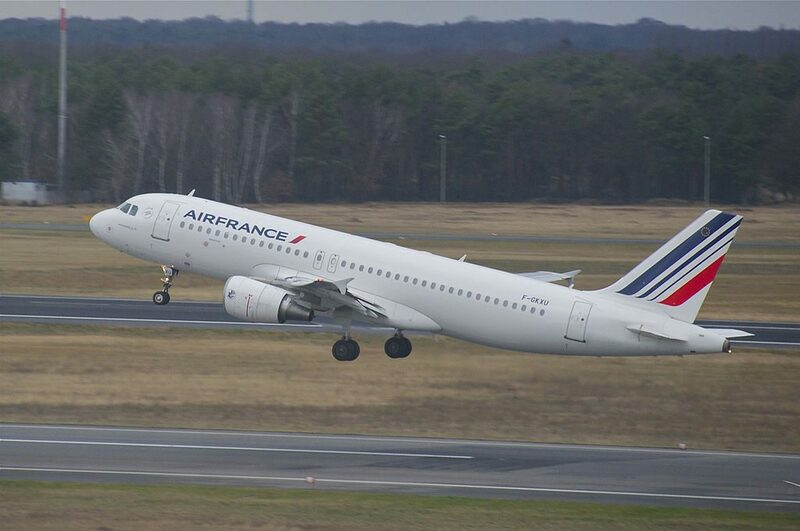 Air France flies their A320-200 in different configurations. On flights from Europe to North Africa and Israel, the middle seats in rows 1-8 are blocked and are not able to be booked. Rows 1-8 are Business Class seats. 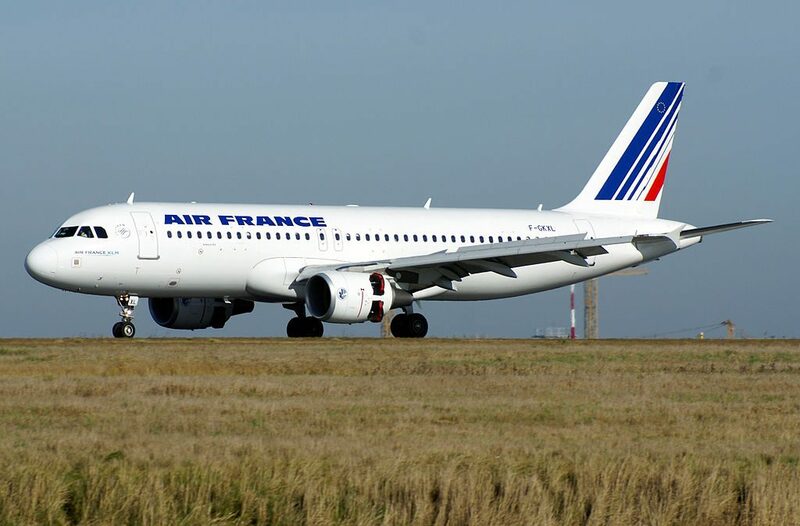 On flights within France, all seats are Economy Class seats and can be booked. 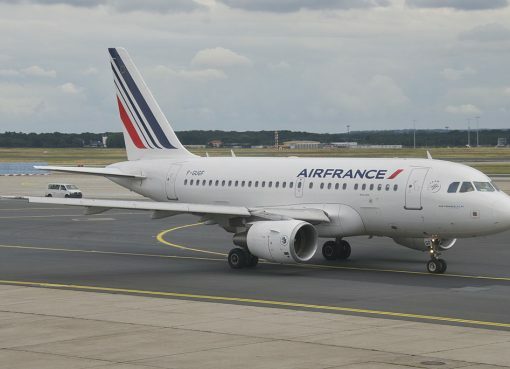 First A320-200 cabin version operated by Air France on the routes to African and Middle East countries. It may transport up to 165 passengers depending on configuration that may vary: business class may have up to 26 seats or less. This version has 2 classes of seats: business and economy. Business class may accommodate 26 passengers. All middle seats here are not sold in such a way providing additional space and privacy to passengers of these seats. The seats of the 1st row, 1AC have limited space for passengers legs. Among other disadvantages: close location of the lavatories and bassinet location. 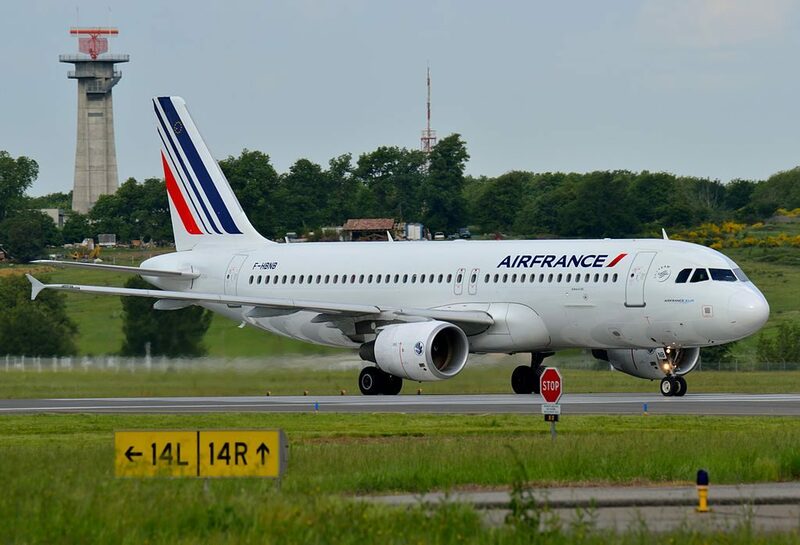 Passengers of the seats 2DF will take advantage of extra legroom. These seats are good seats. Passengers traveling with infants are often seated here as these seats have bassinet location. Business class is separated from the seats of economy class with a movable curtain making possible various configurations. 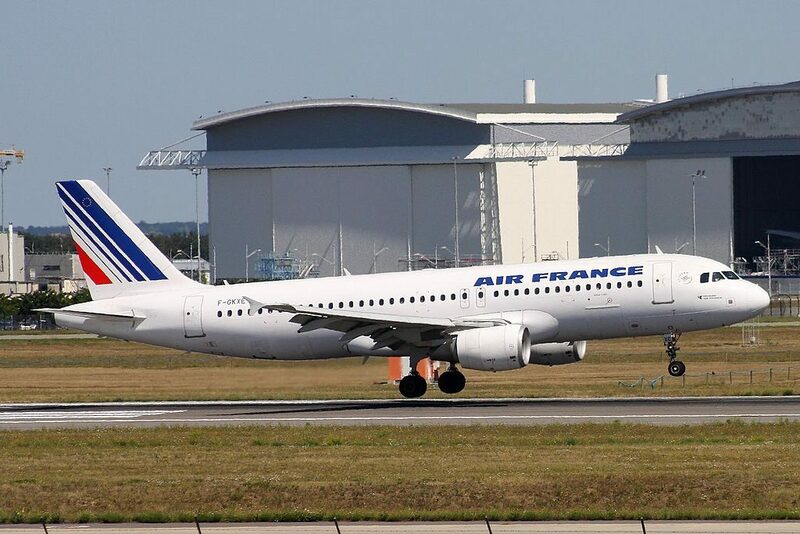 Economy class has 126 seats that are located in 21 rows and have 3-3 configuration. The main disadvantage of the seats of 10th row is limited recline as exit row is located behind. As the seats of the 11th row are located between two exit rows on the one hand they have extra space for passengers’ legs but on the other hand they are less reclining. The best seats in the economy class are the seats of the 12th row. Passengers of these seats will feel comfortable thanks to extra legroom. The seats 28ABC and 29ABC are standard seats of the economy class but these seats are often reserved for crew members. The seats 29DEF are considered bad seats as they may be not reclining. Proximity of the lavatories will also cause discomfort. Second cabin version may accommodate 160 passengers that may have seats in one or two classes depending on the tickets sold. Premium economy class may have no seats or maximum 10 seats that are located in three classes. The middle seats here are left empty and turned into tables. The main disadvantage of the seats 1A and 1C is limited legroom because of the bulkhead position. The seats 2D and 2F on the contrary have extra space for passengers legs. Behind a movable curtain economy class seats are located. Because of the exit row located behind, the seats of the 11th row may have limited recline. For the same reason the seats of the 12th row may be less reclining as well. But at the same time these seats have extra space for passengers legs as another exit row is located in front. Passengers of the seats of 14th row will feel comfortable thanks to extra space for their legs. These seats are considered good seats. The seats of the last 29th row are bed seats as they may have no recline and other passengers tend to gather in this area while waiting to visit lavatories causing discomfort to passengers of these seats. 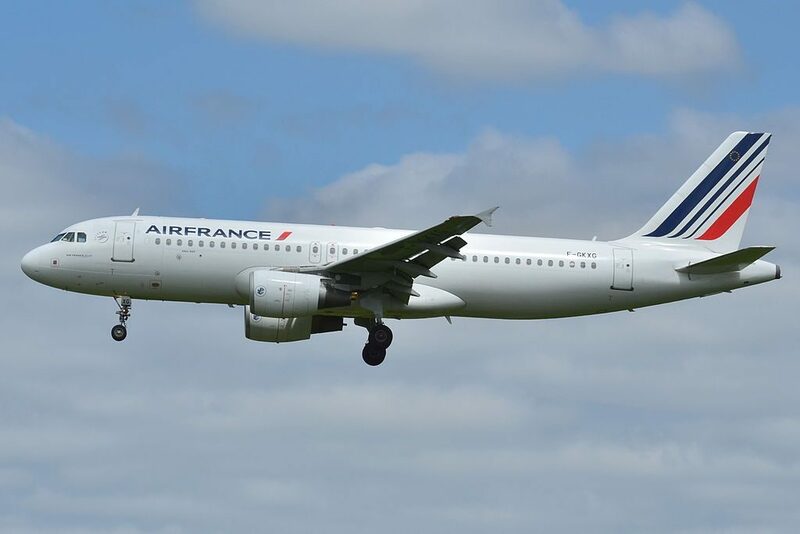 This version of Airbus A320 operated by Air France may accommodate 150 passengers in two classes. Business class may transport up to 30 passengers with middle seats left empty and converted into tables. The seats of the first row have less space for passengers’ legs. The seats 2A and 2F on the contrary provide extra legroom. Passengers with babies are often seated here as these seats have bassinet location. 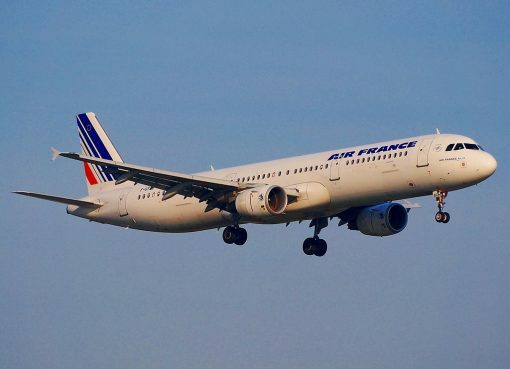 There are 120 standard seats in the economy class. These seats are located in 20 rows and have 3-3 configuration. The seats of the 10th row are less reclining because of the exit row behind. The seats of the 11th row are located between two exit rows. That is why these seats have extra space for passengers’ legs and at the same time these seats do not recline. The best seats in the economy class are the seats of the 12th row. Passengers of these seats will take advantage of extra legroom. 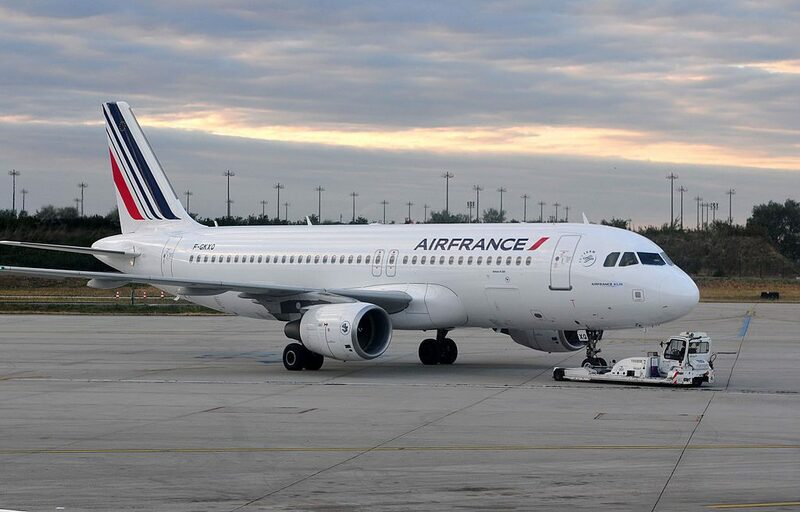 Air France designates these seats as Seats Plus. An extra fee should be paid to reserve these seats. The seats of the last 29th row are considered bed seats as these seats do not recline and are located close to lavatories. 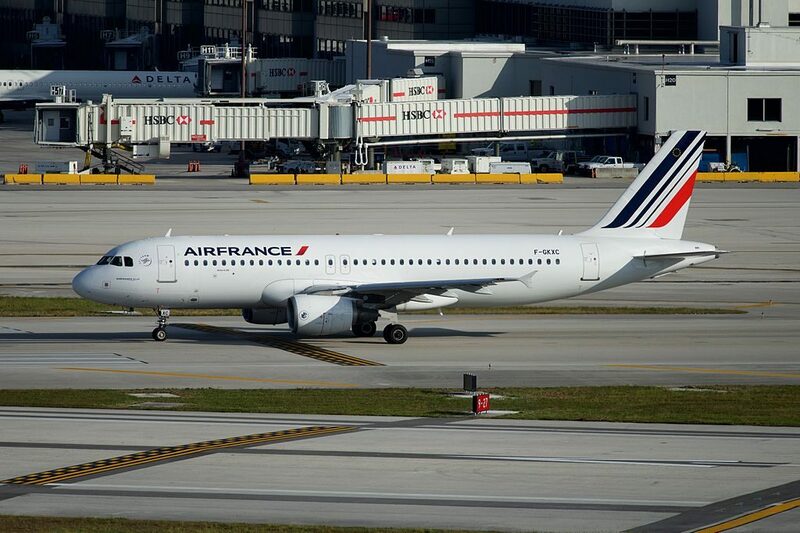 This version of Airbus A320 is the most common in Air France. It is used during internal flights. 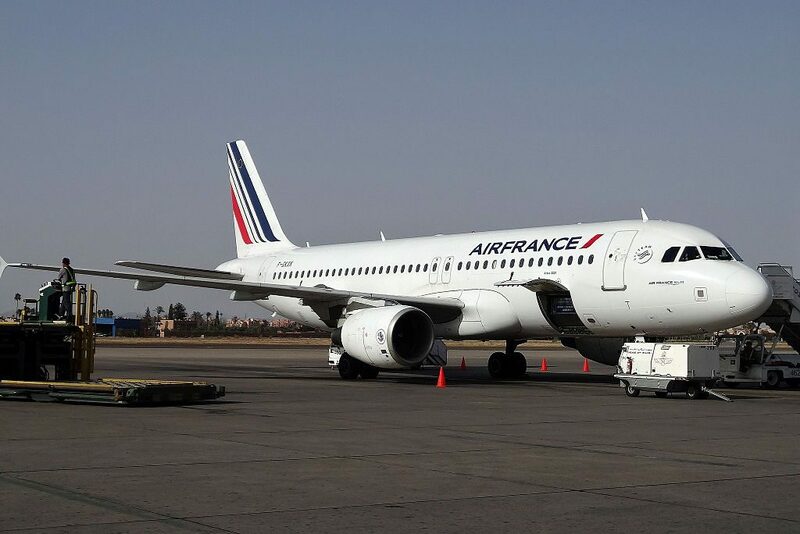 This airplane may transport 178 passengers in single economy class. First row contains only 3 seats. The seats 1DEF have limited legroom. Passengers of the seats 2ABC will feel comfortable thanks to extra space for their legs. These seats are considered good seats. The seats 12BC, 12DE, 14DC and 14DE are also good seats as they have extra legroom thanks to exit rows located in front. The windows seats of the 12th and 14th row, i.e. the seats 12A, 12F and 14A, 14F have extra space for passengers’ legs but have no windows-side armrests that may cause discomfort. As there is no seat behind, the seat 30C is often bumped by other passengers and crew members passing by. Passengers tend to gather in the tail of airplane while waiting to use lavatories and causing discomfort to passengers of the seats 31DEF and 32AB. These seats are considered bad seats. Audio. 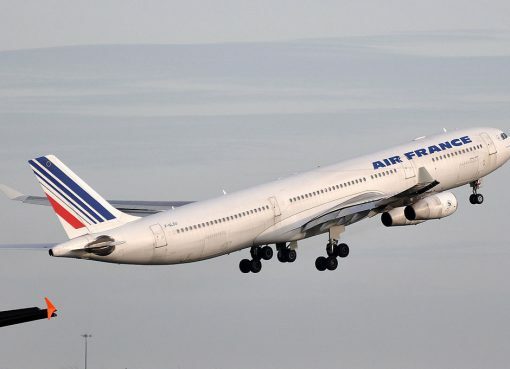 A variety of audio programming may be available depending on duration of flight. Video. 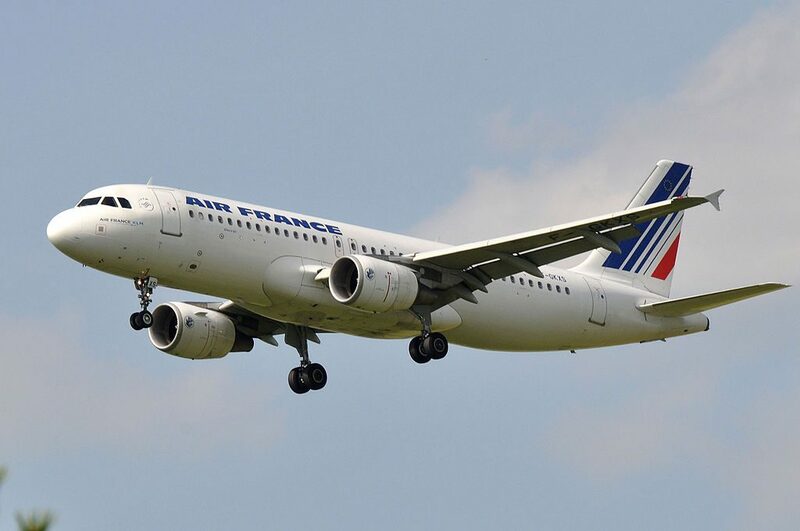 A variety of short video programmes may be available depending on duration of flight. AC Power. Every seat is equipped with a regular 110v AC power port in Business Class. 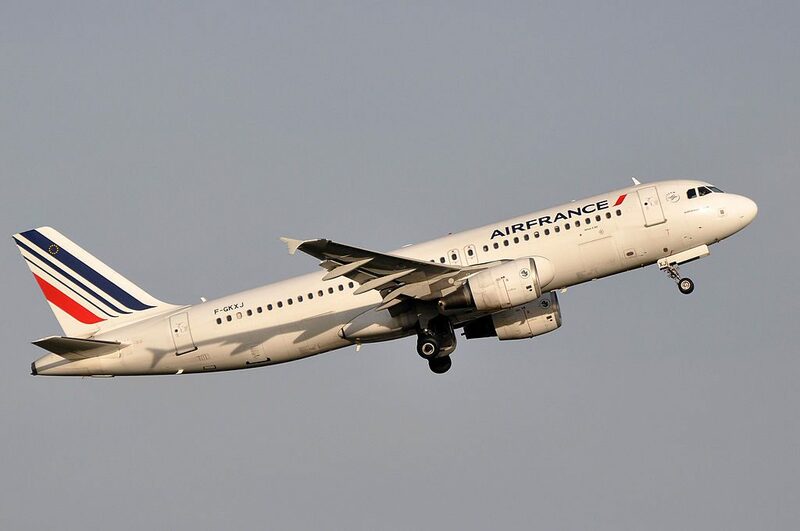 Food.Depending on your flight’s departure time, duration, and class of service, Air France offers an appropriate meal: breakfast, snack, or dinner. 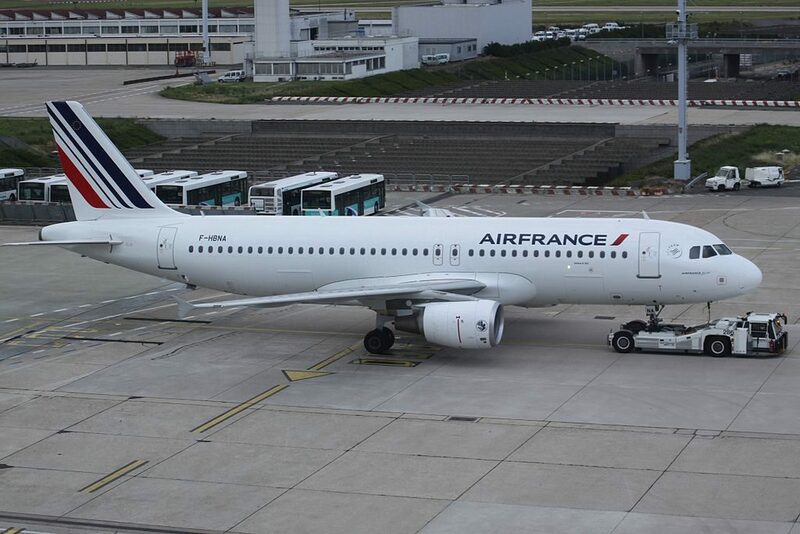 Thanks to visiting AirlinesFleet.com and read article : Air France Fleet Airbus A320-200 Details and Pictures.